Get well foil balloons for delivery. 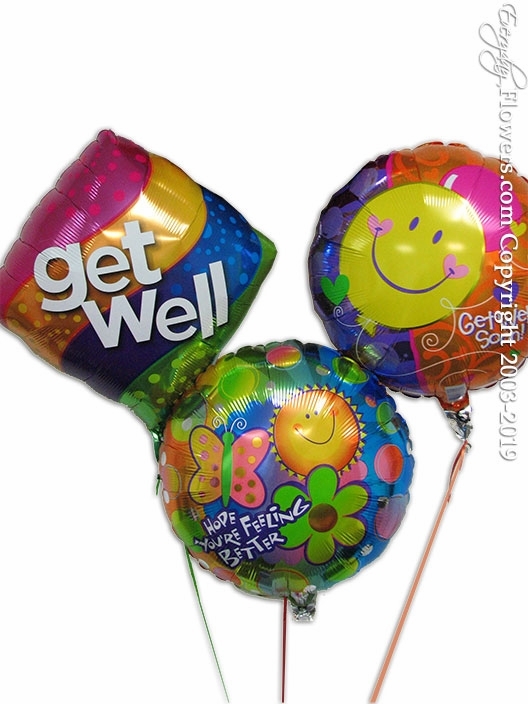 This bouquet has three of our top selling get well foil balloons. A brand new diamond shape get well balloon. And two of Qualatex most popular get foil balloons that say get well soon and hope you're feeling better. Available for delivery by Everyday Flowers to all cities located in Orange County California. Send get well foil balloons to all hospitals and homes in our delivery area.